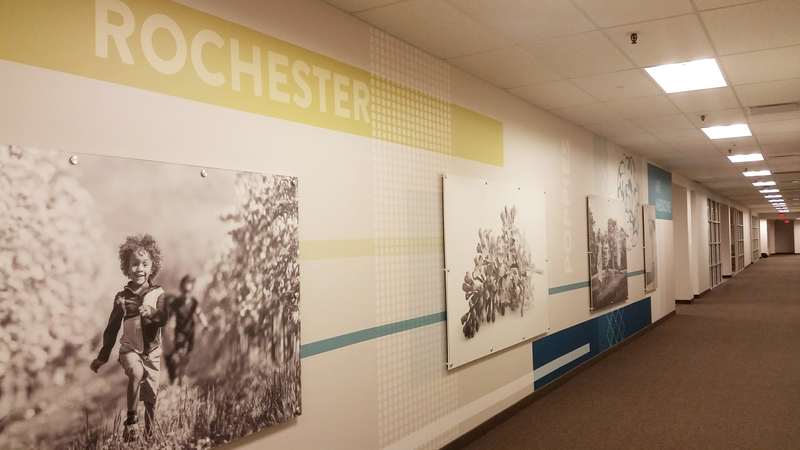 SEI Design Group completed a study to renovate the existing Frontier Communications building, located in downtown Rochester, from single tenant to multiple tenant space. The goal was to create a design to refresh the building’s image and change the main entrance from the rear to the street. The design calls for the creation of a two story atrium which acts as the focal point to the building’s street elevation. An interior fireplace and soft seating allows for casual meetings to occur outside the facilities restaurant. A sunscreen on the building’s west elevation allows natural light into the space while blocking the harsh sun in the afternoon. A large scale 180 is etched into the metal slats to subtly indicate a change of the buildings name to “180 Clinton Ave.” which is also the address. The existing building is a seven-story(above grade) commercial building, with a full, below-grade, basement floor level (eight floor levels total) and is approximately 225,000 gross square feet. 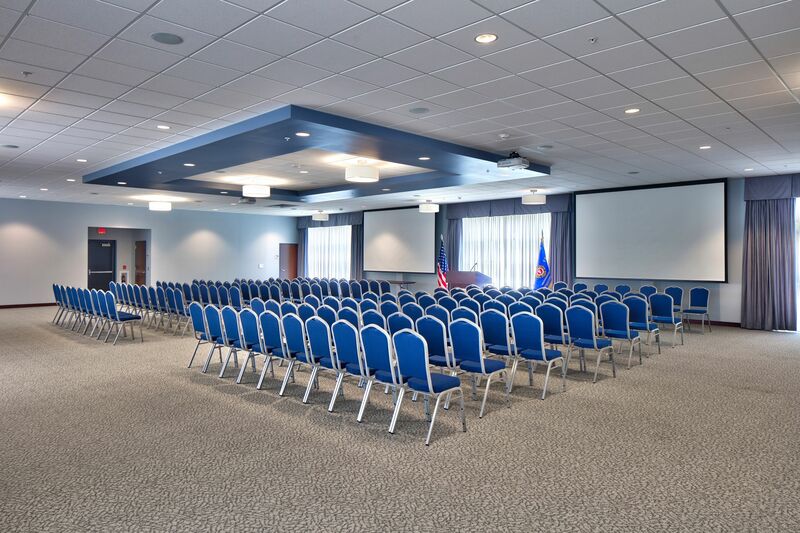 It was constructed circa 1985, and has not undergone any major improvements since original construction, other than tenant changes /improvements made directly by Frontier Communications to meet their specific facility needs. NK-TCC Property LLC, owner of the building, employed the services of SEI to evaluate and study the physical needs of the conversion. This included code requirements, improvement of “common areas” and leasable tenant space. In addition, marketing/ sales materials were required to help describe and show potential tenants the design intent of proposed changes to “common areas”. 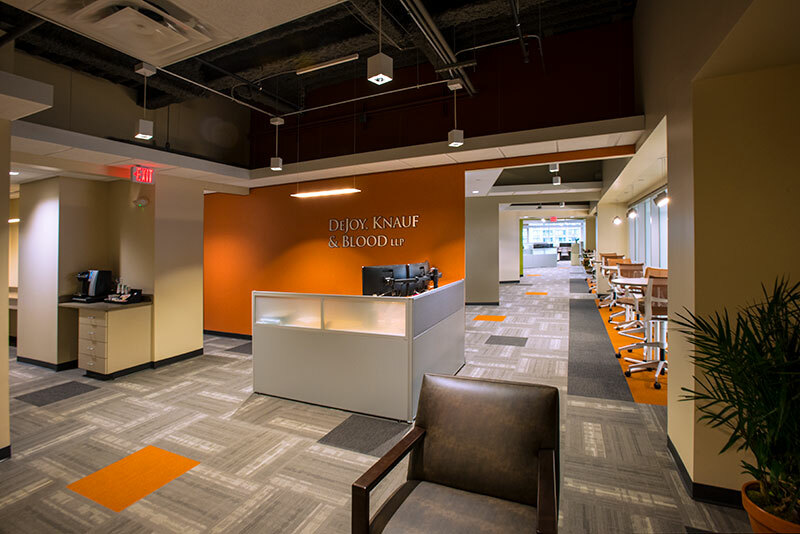 As part of the study, SEI completed floor plans, developed finishes (floor materials, wall materials, ceiling materials), and completed interior renderings.